DOD (Dream of Digit-Tech) is one of the most innovative Dash Cam manufacturers in the world. With a quality range of Australian award winning single-channel Dash Cams, dual-channel Dash Cams and a dedicated Motorbike camera, DOD are one of the market leaders in Dash Cam technology. 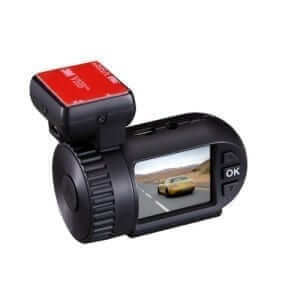 The DOD Dash Cam range offers user friendly units with exceptional quality and reliability. DOD Dash Cams incorporate the largest lens apertures on the market for exceptional recording clarity, the highest ISO values for low light enhancement and the fastest GPS data update rates for accuracy. The integrated LCD screens allow user friendly operation while their neat design fits discreetly on the windscreen. Impact Detection, one-touch Emergency Record/SOS button, WDR technology and Custom Text features all come as standard. DOD Dash Cams, with their market leading technologies, are high performers under all driving conditions. The DOD LS475W Dash Cam incorporates 1080P 60FPS Full HD resolution, a large f/1.6 lens aperture, the highest 12800 ISO sensitivity on the market and high 20Mbps bit rate. These features produce the most enhanced and detailed footage under day and nighttime driving conditions. The high speed, in-built 10Hz GPS processor refreshes data 10 times per second to track and record vehicle speed and location without lag. The Heads Up Display (HUD) feature allows the screen to be used as a digital speedometer with compass direction. Over-Speed warnings can also be activated in the HUD feature. In-built G-sensor for Impact Detection, high 65° heat resistance and 145° Wide Angle of View all come as standard. Ability to record at 1080P FULL HD with 60FPS (frames per second). This creates moving footage that is smoother and cleaner than at 30FPS with less motion blur. The new Sony STARVIS sensor that is specifically designed with ultra high light sensitivity for low light enhancement. The Sony STARVIS sensor not only produces vibrant and crisp daytime clarity, it is also beneficial for night time recording. The DOD LS475W provides Australian drivers with some of the best video evidence on the road – both day & night. The DOD LS475W is the Dash Cam of choice for those customers wanting all the quality features of a DOD Dash Cam but with larger storage capacity (128 GB), sharper and smoother video quality with 60FPS option and Speed Camera Alerts. The DOD LS475W also comes with an included 16GB Micro SD Card and a newer, hybrid adhesive/suction mount which has both suction and adhesive properties. 3. *Speed Camera data under license from HERE Maps. DOD do not guarantee reliability and accuracy of speed camera locations. Micro SD Class 10 up to 128GB. Samsung EVO recommended.